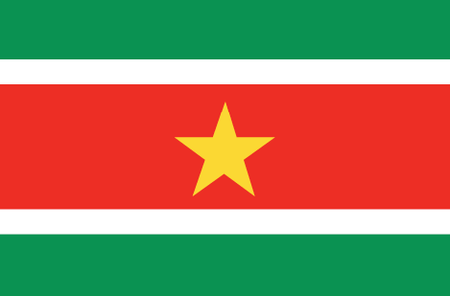 Suriname is the smallest South American country, about as big as Florida. Located on the northeast coast of the continent, it borders Guyana on the west, French Guiana to the east, Brazil to the south and the Atlantic Ocean to the north. The Dutch established a presence on the coast near the future capital city of Paramaribo in the 1600s and kept control over the region until granting independence to Suriname in 1975, though they have maintained close relations with their former colony, and Dutch remains the official language. Most of the population of just over half a million is concentrated along the coast, while the interior is heavily forested. The economy is based largely on mining, an industry that supports mainly low-paying jobs and is subject to the whims of world markets. Suriname has a great deal to offer tourists, from shining beaches to lush rainforests and a vibrant Dutch-Caribbean culture, but the infrastructure is lacking, particularly in the remote areas away from the coast. Golf, however, is not wholly unknown in the country, for the Paramaribo Golf Club just outside the capital, which was established back in 1954, has a 9-hole course. There are currently some 200 members, and membership is restricted to locals and those who have been residents for three or more years.